Cannabis has become a preferred solution for patients who are fed up with pills and prescription drugs over the years. The cannabis components have been shown to be effective in treating the symptoms, but also as having a real therapeutic potential. So what exactly is medical cannabis, how to get it and how much it costs - everything you wanted to know and you had no one to ask. So what is medical cannabis at all? Medical Cannabis Is actually flowers, oil or extracts of the plant cannabis, also known as 'medical marijuana', 'medical grass' or 'Maripuana'. Cannabis is a cannabis plant (another family member is hops, from which beer is produced), which is divided into two main subtypes: indica and sativa. The main differences between indica and sativa are the length of time of growth, the nature of the effect, and the preferred times of use. The differences between them You can read here. Within these sub-families grew "varieties" of cannabis, which over the years had their own names and names, from Abidal to Paris - names given by the growers themselves. In Israel there is a bit up From total varieties 90, Roughly 12 varieties for each of the 8-growing companies in medical cannabis. Each strain contains other amounts of active ingredients (cannabinoids), divided into THC and CBD in particular. The differences between THC, the psychoactive substance, and CBD, the substance considered 'medical' You can read here. 1. The person who approves the license for medical cannabis is a person who has been authorized as an "administrator" under the Dangerous Drugs Ordinance. The new authority for the management of medical cannabis is the Medical Medical Unit, which is part of the Ministry of Health. It is the only authorized entity to sign and approve medical cannabis for patients, except for licenses granted to cancer patients who are hospitalized and receive the license from the oncology physician. The directors of YKR are Yuval Landstafft and Dr. Michael Dor - who are responsible for the entire industry. 2. The cannabis supplier is an agricultural company that the Ministry of Health has permitted to grow medical cannabis and meets all the criteria of supervision and follow-up established by the Ministry -9 supplies medical cannabis of Israel. 3. Cannabis flowers have been grown and manufactured in the farm with the appropriate standards, greenhouses with quality control, no use of chemical or prohibited pesticides, and other proper production procedures. It should be noted that as of today, the Israeli medical cannabis companies do not meet 100 percent of these conditions, according to tests conducted in the framework Petition to the Supreme Court As well as the framework Class action Which is currently being discussed in court. Although cannabis has been shown to help in a wide range of diseases and pains, in Israel, medical cannabis has been approved for only a few diseases. Children with autism and epilepsy in studies. It is recommended to check the chances of obtaining a license according to the Kanapadia Calculator, here. 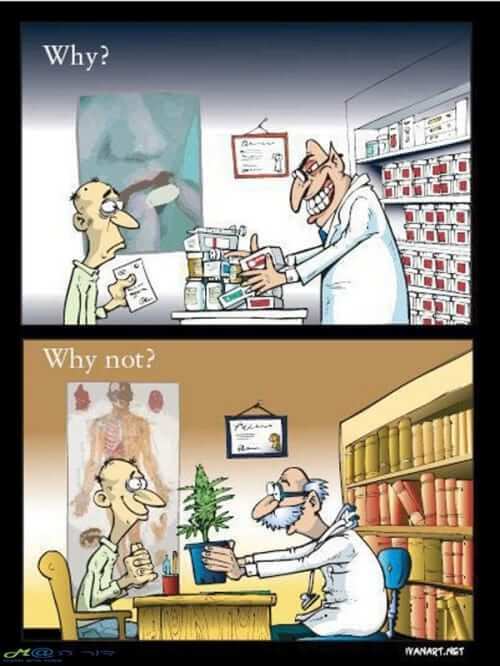 Cannabis is given to patients with a license For 370 a month. It does not matter if the patient receives 20 grams per month, or 120 grams a month, according to current policy everyone pays one 370 NIS per month only when taken in self-collection, or together with an additional NISNUMX for delivery to the house. The average consumption of medical cannabis in Israel as of the middle of the year 2017 - is 34 per month. Exclusive to Cannabis Magazine - List of Israel's new cannabis doctors. These are doctors who have completed a training course of the Ministry of Health. ● Dr. Shahar Ben Menachem from Nahariya Hospital. ● Dr. Orna Rosengarten, Shaare Zedek Medical Center. ● Dr. Salem Blanc, "Holy Family Hospital" in Nazareth. All the other doctors in Israel who have not completed the Health Ministry's course are doctors Recommend Only - recommended to the Chief Physician Dr. Michael Dor For approval. First there is a review In the manual for the issuance of a medical cannabis license, And then continue with one of the doctors listed above, or go to a doctor who is not accredited and from whom to obtain recommendation For the treatment of medical cannabis - sent by the doctor in an online form directly to the Ministry of Health. While there have been cases in which a Cannabis license was also made possible by the recommendations of family physicians, in most cases it is clearly preferable to accept a recommendation of specialized doctor, In any specialization relevant to the disease and in accordance with such conditions. How many patients are in medical cannabis? As of April 2017 are getting About 30,000 Patients in Israel Treatment of medical cannabis, mostly cancer patients and pain patients. In addition, patients with Crohn's / Colitis, Post-Traumatic Stress Disorder, Multiple Sclerosis patients, Parkinson's disease patients, AIDS patients, terminal patients with Tourette's syndrome. 1. JDC - a rolled-up cigarette full of dried marijuana flowers. 2. Pipe - smoking pipe for marijuana. 3. Bang - A water pipe that works like a narghile. 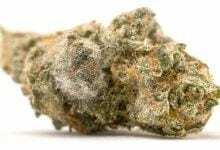 There is a wide selection of Bangs of different types and sizes but the most recommended for the consumption of medical cannabis is the glass-only Bang. 4. Dubbing - not common in Israel. A relatively new American phenomenon that now penetrates into Europe based on a burner that burns highly concentrated extracts, such as vox cannabis. Evaporation of the cannabis is carried out by means of a special evaporator (fryer) by heating the flower or the cannabis extract to a temperature at which the active substances evaporate (180-240) but do not burn, meaning no combustion occurs. The advantage of evaporation consumption is health, since no smoke is inhaled with unwanted byproducts and even carcinogens. The disadvantage of the method is the high cost of the evaporation device. It is recommended not to purchase vaporizers that are not electric and are based on heating with live fire. The cannabis oil provided by the Ministry of Health must not be steamed under any circumstances because it is diluted with olive oil, which will emit hazardous fumes. 1. Food - Cannabis can also be consumed in the form of cookies (A video guide for making Cannabis medical cookies) Or any other food that contains cannabis butter. The process of preparing cannabis butter is very simple. below Guide to making cannabis butter. 2. Cannabis oil and 25% vegetable oil (mostly olive oil). Recommended consumption is dripping under the tongue. The effectiveness of the oil is limited and is therefore recommended mainly for children, the elderly and others who can not vaporize or smoke. It should be noted that the medical cannabis oil is supplied by the Ministry of Health We are not The wonderful oil that has been proven to be a cancer killer (Rick Simpson oil). It is recommended to watch the fascinating documentary "Escape from the Drug" in which a child with cancer who is recovering from his illness is monitored Rick Simpson oil. 3. Capsules that allow the active ingredients in cannabis to be taken comfortably and with long-term effects. The capsules work in a "slow release" and succeed in causing long-term effects without the dangers of smoking. There are currently nine workers in Israel Cannabis Medical Supplies Who are authorized to supply their products to patients who hold medical cannabis approval. They are under the strict supervision of the Israel Police and are subject to the stringent guidelines and requirements of the Ministry of Health. Each vendor grows and distributes a different number of Cannabis medicinal strains Each strain is intended for the treatment of other diseases. How to get approval for medical cannabis? As previously mentioned, we recommend reading the guide: How to Get a Cannabis Medical License. Either way, in order to obtain approval for medical cannabis, one of the doctors recommending a meeting must be contacted. In the meeting, documents must be presented indicating the disease from which the patient is suffering, as well as written evidence of medications and painkillers that are taken regularly. It is recommended to emphasize that the drugs cause side effects that make it difficult to conduct normal day-to-day life such as dizziness, nausea, sleep problems, etc. The doctor recommends that you send his recommendation along with a recommendation document that can be filled out In this link. The permit was given for the first time for a period of six months And a monthly quantity of up to 50 made, but usually no more than 20. The cost of the drug is 370 NIS per month - regardless of the amount received. The official waiting time advertised by YKR for a permit or renewal is 30 business days. High priority is given to cancer patients and patients for whom the attending physician determined that there is a necessary need to expedite the process. The division of medical cannabis The license holders are mainly in Abarbanel Hospital in Bat-Yam. The distribution center can be reached independently according to the supplier's hours of operation or alternatively receive the medical cannabis by delivery to your home The focus of lightning. Any problem can be addressed toOrganization of Work Accident Casualties. You should contact your nearest National Insurance office. A refund can be obtained for the purchase of drugs related to injury that have not been provided by the public health service. To receive the refund, please contact the branch of the National Insurance Institute near your place of residence, along with the prescriptions of medicines and receipts from the pharmacy. A person injured by a hostile action is entitled to reimbursement of travel expenses for the purpose of receiving medical treatment. The reimbursement will be given only when the medical treatment is performed near the place of residence, and by a recognized public medical institution. Injured who was traveling on public transportation (Bus, taxi service etc.) will sign a statement detailing the route and price (no need to attach travel tickets). The refund will be determined according to the prices of public transportation. A person injured in a special taxi or in an ambulance (After the doctor, with the approval of a physician from the National Insurance Institute, determined that his condition does not allow him to travel on public transportation) - will attach receipts for travel expenses. An injured person who was driving in his private car (According to the rate paid to a civil servant). Those who are treated under the insurance of the security forces can request a refund of medical cannabis expenses. The policyholder must submit a recommendation or recommendations of the treating physician + a medical cannabis license + acceptance of the purchase. If they are refused by the district doctor, Iddo Katz (the chief physician of the Ministry of Defense) can be contacted directly and complain to him. And he would instruct the district doctor to forward the refund. Dr. Ido Katz - Certified Head Physician. Headquarters of the Rehabilitation Division. 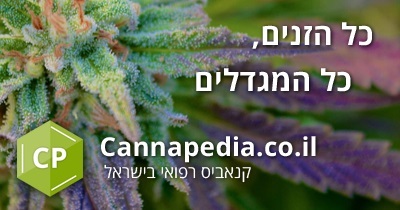 Currently only Maccabi Health Fund"Provides a return on medical cannabis. Cashier provides the return to members "Maccabi Fund" only. Who is eligible to receive a refund for medical cannabis? How do I apply for reimbursement for medical cannabis expenses? 1. To obtain a refund for medical cannabis, please visit the Maccabi branch closest to your place of residence and ask the clerk for the refund documents. You can also download the forms here. A. Form of declaration of full income and signed + certificates of income. (Three last pay slips of the couple or any other certificate indicating total income). B. Medical documents referring to the medical condition with medical diagnoses. third. Referral from a medical / paramedical entity of "Maccabi Health Services" specifying the assistance requested by the applicant. D. A tax invoice on the purchase of the product or the last treatment. 3. Processing of the application may take up to one month. Recent months from the bank, a letter from a caregiver, a letter from a social worker in the HMO who recommends that the fund help you. Request a request for assistance in financing medical treatment that is not in the basket, attach a copy of the license, attach a receipt, probably up to a year retroactively, it is preferable to transfer all the documents together, and check after a day or two that all the pages have been absorbed into the system. Always leave you a copy as well. You may also request reimbursement for the equipment accompanying the medicine itself, such as rolling accessories, smoking tools, etc. Disability certificates must also be attached to the application if there are approvals from the National Insurance Institute to receive a pension and anything that indicates the medical problems. I asked the social worker to quote the advantages of evaporation in relation to smoking, and explain the quantity and the savings. I have, of course, attached a price quote I received from the wafer provider. I received a 57% return in the first year against receipts for the drug. Second year 80 percent. I asked to buy a waferizer and got a NIS 2250 refund! Cannabis has been used as a general remedy for pain and disease throughout human history and was banned for use less than 100 years ago. In recent years, cannabis has begun to regain its legitimacy after decades of being victimized by false propaganda by the authorities who preferred the economic interests of pharmaceutical companies to those of the citizens themselves. Cannabis can help treat a wide range of diseases such as chronic pain, migraines, arthritis, multiple sclerosis, glaucoma, asthma, epilepsy, depressions and anxiety, Tourette's syndrome, insomnia, Crohn's disease, Fibromyalgia, gastrointestinal disorders, cancer, hepatitis C, HIV / AIDS, Huntington's Disease, high blood pressure, incontinence, MRSA, osteoporosis, itching, sleep apnea and more. Using marijuana after a traumatic event prevents the development of post-traumatic symptoms, according to a new study from the University of Haifa and published in the prestigious journal Neuropsychopharmacology. For further reading click here: Marijuana for post-traumatic stress disorder. The cannabis plant contains the cannabidiol ingredient, which is not psychotic. NEW YORK (Reuters Health) - Canobidiol (CBD) has improved the mobility of laboratory mice with spinal cord injuries, according to a new study in the journal Neurotoxicity Research. Tests found that children who consumed marijuana during pregnancy were more alert, more emotionally stable, and more adaptable than children of women who did not consume cannabis. For further reading click here: "Marijuana Babies" - Smoking marijuana or cannabis during pregnancy does not harm the fetus. A study published recently and concludes 20 years of research states: Smoking marijuana does not harm health. You can relax after a previous study has shown that smoking marijuana does not cause lung cancer. For further reading click here: A new study says: Your lungs love marijuana. A new study funded by the US Department of Health found that mice who consumed cannabinoids (the active ingredients in cannabis) reduced the risk of heart attack in 50%. 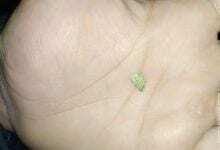 For further reading click here: "One marijuana flower a day and you'll break up from heart attacks in peace ..."
The most serious reference to the question of whether addictive marijuana was given in a book written and published in 2008 by Professor Leslie Iverson of the University of Cambridge in England. In the book, Professor Iverson describes an international study that has been conducted for several decades, including an examination of laboratories and the distribution of surveys and questionnaires on the subject. According to the results, 10 and 30% of those consuming marijuana and / or cannabis regularly may develop a certain habit and only 9% will suffer from what is defined as "addiction." 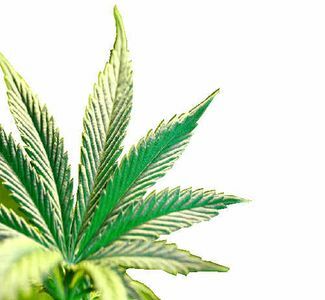 For further reading click here: Is marijuana addictive? Can Cannabis Burns Brain Cells? According to a study by the University of Saskatchewan in Saskatoon, Canada, the effects of marijuana on the brain are all but harmful. For further reading click here: Marijuana brain - How cannabis increases the formation of cells in the brain. Is cannabis suitable for animals? Although there are not many studies of cannabis intake in pets, those that have been confirmed have confirmed the presence of cannabinoid receptors in the bodies of a wide variety of animals such as mice, pigs, dogs, monkeys and more. The same studies also suggest that marijuana consumption can help animals cope with pain, nausea, anxiety and other neurological complications. For further reading click here: Is cannabis suitable for animals? "When I hear about the threat to a breakthrough parent, from a doctor or doctors, my vocal cords immediately adjust to scream - these doctors are bastards. Right. It's not polite, but if a father or a mother can, with the help of marijuana, save a child from the arms of autism, all we have to do is kiss their hands. 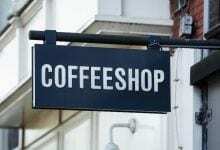 And to find out urgently whether and how it works. For the sake of parents and other children. Even if there is a sea of ​​doctors and the sea of ​​professors and tell me that a link between vaccines and autism has not been proven, that is, a vaccine does not cause autism, statistically, he tells them in a language reserved for a proctologist. I did see only one child with autism, but for me it was proof of the destruction of a whole world. This child was for me, statistically, one hundred percent. "- Dr. Aryeh Avni. For further reading click here: About Autism and Medical Marijuana - Testimony of an Israeli Physician. "Marijuana is a better remedy for attention deficit disorder." According to pediatrician Claudia Jensen. Dr. Jensen recently published her findings from a study she conducted at USC, a study on ADHD. For further reading click here: Cannabis instead of Ritalin for people suffering from ADHD. Smoking marijuana can burn calories, reduce blood cholesterol and neutralize fats in the liver. Get the healthiest, most effective, quickest and most pleasant diet you can ask for - a marijuana diet. For further reading click here: Cannabis is an effective treatment for obesity. Fibromyalgia is the Hebrew name for Fibromyalgia, also known as Fibromyalgia Syndrome (FMS), a syndrome that has been known and researched since the beginning of the 19 century: Fibromyalgia was coined in 1976, meaning pain in muscle tissue, Cells, along with the Greek words mya - muscle and algos - pain Muscle pain is defined as a syndrome, not a disease, because it is a medical condition characterized by a characteristic group of symptoms, and its physiological-pathological basis is not known. For the symptoms associated with fibromyalgia, please click here: Cannabis Medical Treatment and Relief for Fibromyalgia Syndrome. Painkillers produced by pharmaceutical companies today cause more deaths than those caused by heroin and cocaine combined. Cannabis is a healthy alternative that has already been demonstrated in various studies. For further reading click here: Cannabis for the treatment of pain - a danger to the painkiller industry. Is Smoking Cannabis Medical Harmful to Driving? These and other studies conducted throughout the years in a number of places around the world, including Canada, Australia, the Netherlands, the United States and England prove unequivocally: driving under the influence of marijuana does not harm driving and does not endanger the drivers or their surroundings! 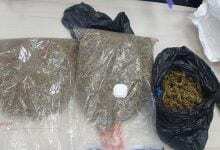 For further reading click here: Research proves: marijuana does not interfere with driving. vice versa! A common argument among cannabis opponents is that the use of the plant undermines mental stability and increases the chances of future schizophrenia. "The number of cannabis users has been steadily increasing in recent years, and the number of people suffering from schizophrenia has steadily declined." Dr. Mashiach received the right to speak and explained that there is no connection between cannabis and psychosis, and that research on the subject is clear, including among cannabis consumers in Israel.